What To Consider When Moving Abroad For A Relocation? 1. Valuables: If you have been living in one location for decades, it’s safe to assume that you have a lot of valuables. And while it can be tempting to bring all of these abroad, don’t do it. You’ll end up paying for costly moving expenses and realize that you bought items which aren’t useful. Before you start packing, declutter your home first. Determine which valuables will you bring and which ones will you either sell, donate, give or throw away. This chore can be very tedious and time-consuming. Fortunately, there are now professionals which can help you declutter and organize your home for you. Scout for these businesses and let them do the job on your behalf. On the other side of the coin, if you still have a lot of valuables after carefully sorting out which is which, consider paying for storage services. There are several companies which allow you to store all of your valuables in their facilities while you’re working abroad. This might be a cost-effective solution if your relocation will only be temporary. You don’t have to be caught in the cycle of packing and unpacking all of your valuables whenever moving. 2. Lifestyle changes: Living abroad means you’ll be having another lifestyle. You’ll have to live through new climates, communicate using other language and mingle with people who are different from your usual company. Do your own homework and research about this information. If possible, take a few trips before your move into the new location to determine if your needs and expectations are met. While you’re at it, don’t forget to ask yourself this question: “Would my quality of life be improved or compromised once I relocate?” If your answer goes with the latter, scout for other factors which may compensate for this. 3. Social network: You’ll be losing some of your social circle once you move abroad. Sure, you might still be keeping in touch with them through calls, texts or video chats but your personal interaction with them will never be the same. It’s important that you take into account how you can possibly establish a social network in your new location. Do you have any friends in the area? Will your employer organize any social events? Will you have an isolated or lively neighborhood? Once you’ve settled in your new location, you should be proactive in going out there to meet new friends. Maximize different avenues for you to meet people who have the same interests and leisure as you. 4. Visa considerations: Different countries have different visa requirements. Some countries require that your passport should be valid for a particular period while other countries are not keen on information like this. Since most legal requirements take weeks or months to accomplish, check the relevant embassy resources to get specific information about the country you’re moving to as soon as possible. 6. Relocation and all other associated costs: Money will always be an important factor during the move. If you’re relocating because of work, ask your employer what are the costs covered by the relocation. Does it involve your travel costs? Will they help you pay your temporary accommodation until you’ve settled in? If you’re planning to hire the best moving company for your relocation, scout for options and compare prices. If you’re relocating to a big city such as New York, look for at least three movers NYC as your options. Keep in mind that movers NYC might charge more for their services compared to other moving companies who are operating elsewhere. Knowing this information ahead of time can help you budget your finances better. If you’re planning to furnish your home with new pieces, opt to buy from thrift stores online or those which are physically located to where you’ll be relocating. If possible, scout for possible items before the moving day so you’ll have an idea what to purchase and how much should you prepare. The more information you have on your future purchases, the better. 7. Family: If you’re relocating alone, consider how near or far your location is to your family. Will there be any direct flights from your location to your family’s? How much does it cost for you to visit them regularly? Is it convenient to travel often? You should provide answers to these questions so you’d know how to get to your family right away, especially during emergencies. If you’re relocating with a young family, you’ll need to look into the accessibility of your children’s needs. Are there are schools near your location? How much does it cost? Will it be easy for your children to adjust to the neighborhood? As a parent, you should also make sure that this transition will be manageable for the children. Relocating abroad can be exciting but stressful at the same time. 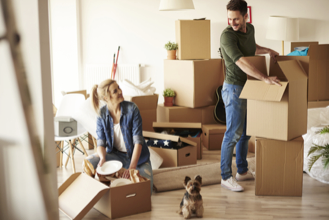 There are many factors which should be considered before, during and after the move — and missing out any of these can lead to more stress and costs. You might even end up hating the new place once you moved. However, if you know how to properly prepare for your relocation abroad, this endeavor can bring positive changes and improve the quality of your life. Use this article as your reference, prepare as early as possible and for sure, your relocation abroad can be a memorable one!